FPL 2015 will be split across two venues: the Royal Institution, where talks will be delivered, and Imperial College London's South Kensington campus, where workshops, tutorials and the conference banquet will take place. The Royal Institution and Imperial College are approximately two miles apart. Inter-venue travel is possible by direct Underground (Piccadilly line) or bus (routes 9 and 14) link as well as on foot or by bicycle. London boasts one of the most extensive and frequented public transport networks in the world. Underground (subway or 'tube'), Overground (surface trains), light rail, trams, buses, coaches, river taxis and short-hire bicycles are integrated and managed by Transport for London (TfL). National Rail (mainline train) services within London are also integrated. TfL stations and services are adorned with the organisation's famous roundels. You can familiarise yourself with these before arrival by playing the TfL roundels edition of 2048. 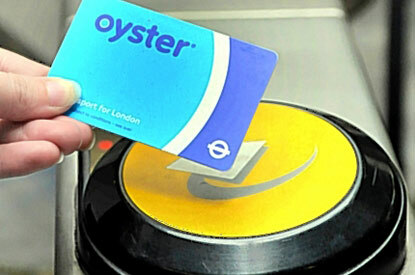 Payment for TfL services is made by contactless (RFID) cards called Oyster cards. These can be obtained, in exchange for a £5.00 refundable deposit per card, from automated ticket machines at all TfL stations or staffed ticket windows at major stations (such as those at airports, train stations or important landmarks). Oyster cards can be 'topped up' with credit using cash, credit or debit cards at ticket machines or windows. Many convenience stores also service Oyster top-ups; those that do are externally marked with TfL branding. When buying new cards or topping up using ticket machines, remember to press the 'print receipt' button if you wish to receive a receipt; they are not printed automatically. When leaving London, those that do not wish to keep their Oyster cards can obtain refunds for any unused credit and their deposits at ticket machines or windows. When starting a journey on Underground, Overground or light rail, 'touch in' using your Oyster card by holding it against a yellow card reader. A single short beep will indicate that your card was read successfully, and the ticket gate (if present) will open. Two long beeps indicate a problem; usually lack of sufficient funds. Remember to touch in even if ticket gates are open or not present to be charged the correct fare. Repeat this process to 'touch out' at the end of your journey. Interchange between Underground, Overground and light rail lines at appropriate stations does not incur additional cost. On trams and buses, you only need to touch in at the start of your journey. Oyster credit can be used to buy paper tickets for river taxis at discounted prices. Hire of Santander bank-branded TfL bicycles can be done using credit or debit cards at cycle hire stations. Within zone 1, the innermost zone in which Green Park (for the Royal Institution) and South Kensington (for Imperial College London) stations are both located, a single Underground journey currently costs £2.30 at any time. A journey from Heathrow Airport into zone 1 costs either £5.10 during peak times or £3.10 otherwise. 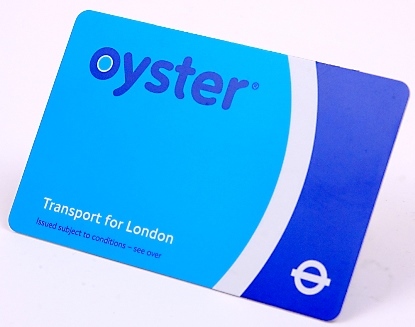 Daily maxima apply to Oyster fares: depending on where you travel, you will never pay more per day than the cost of an equivalent 'travel card' (multi-journey card) for the zones you travel through. Buses are not part of the zonal system. Regardless of length, each journey on a single bus route costs £1.50. Of use to visitors will be TfL's tube map, which shows the layouts of Underground, Overground and light rail lines. Paper copies can be obtained (for free) at major stations. The journey planner and fare finder on TfL's website are also particularly useful.